While being young and wild and free in the California desert, we stumbled upon 3 very tasty lunches. Be sure to stop by these places, next time you’re out spa-ing or hiking or Coachella-ing. 1. Wilma and Frieda’s Cafe. This place has amazing brunch. 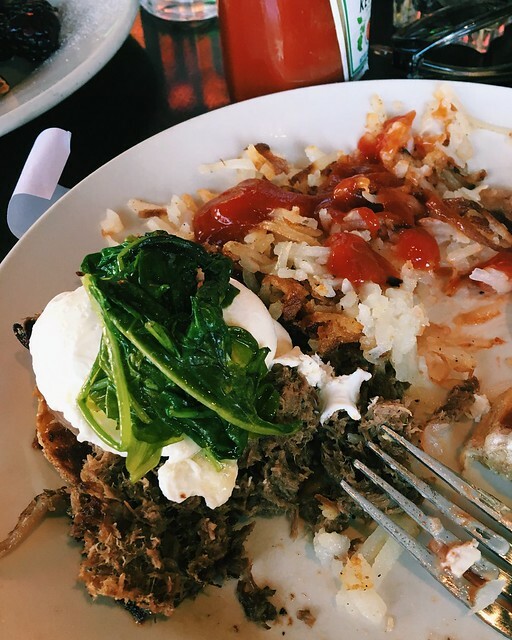 They are famous for their short ribs eggs benedict; the meat is soft and the muffin is buttery. Their blackberry french toast is also pretty great; it’s filled with vanilla custard and comes with lots of fresh blackberries.